High fidelity hearing protection from Etymotic Research, Inc. These earplugs provide very good sound reduction (20 db) with only a small amount of tonal distortion. Most adults would use a large earplug. 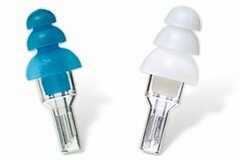 Children and adults with small ear canals would use the regular baby-blue earplug. Each set of earplugs come with a black cord and a protective carrying case. Nice backup to have in your case. 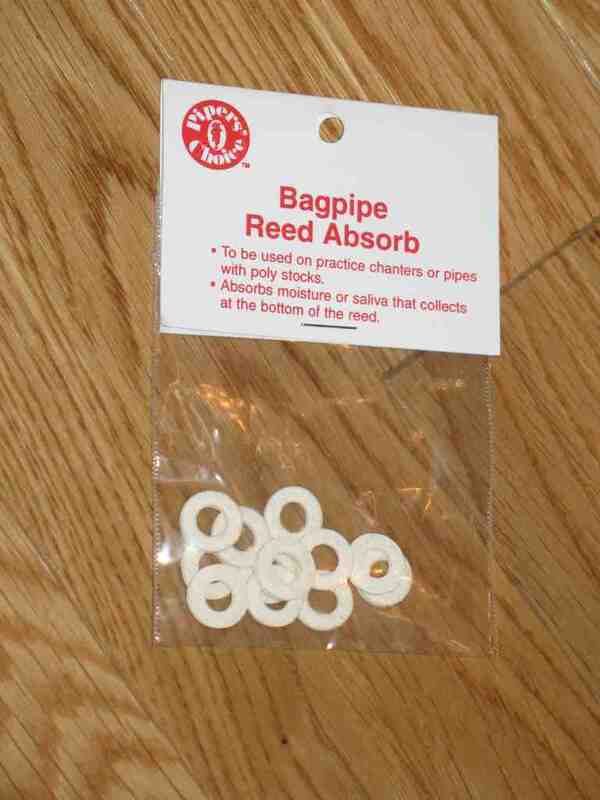 Use a reed protector to keep your chanter reed safe when your chanter is out of your bag. 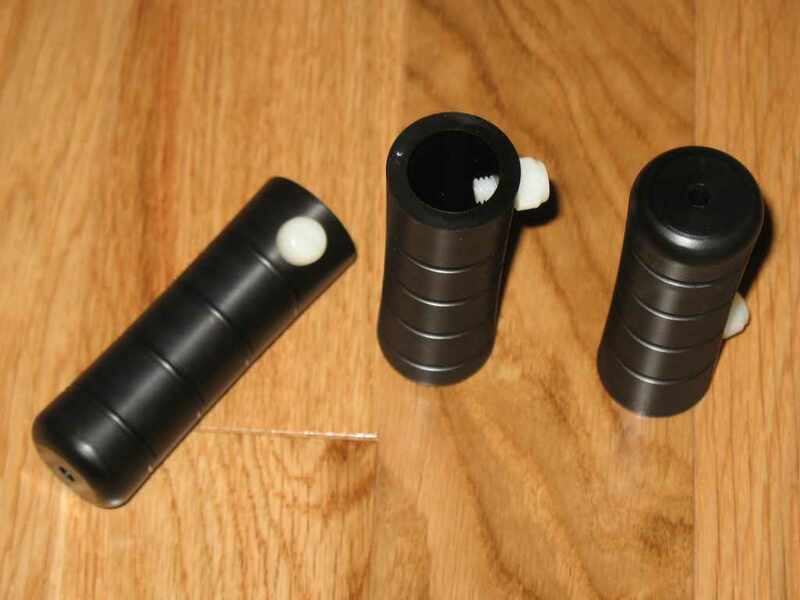 A set of three Dunbar drone reed extenders. Use these if you have a set of pipes that are tuning too high up on the pins. Need to change the picture. 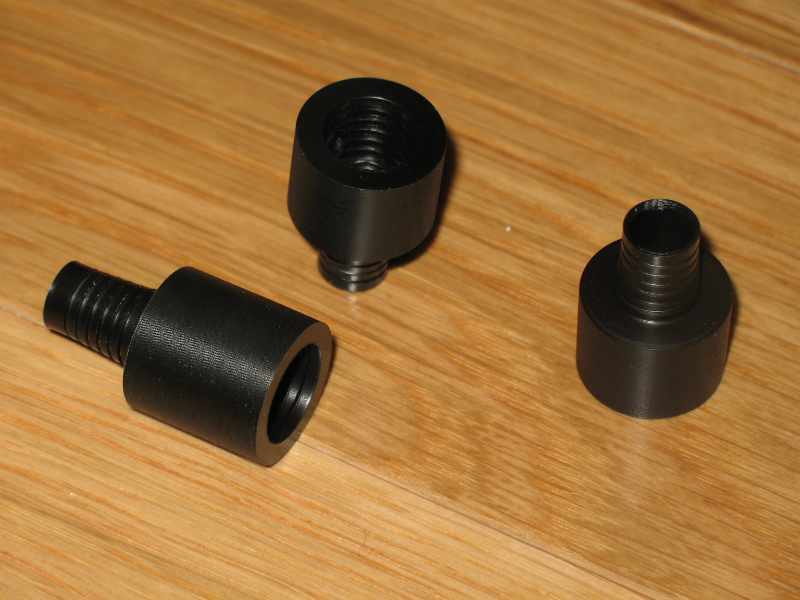 Same shape - just black poly. Can be useful when you are learning to tune your pipes. Holds the Low A for you leaving your right hand free to tune your drones. 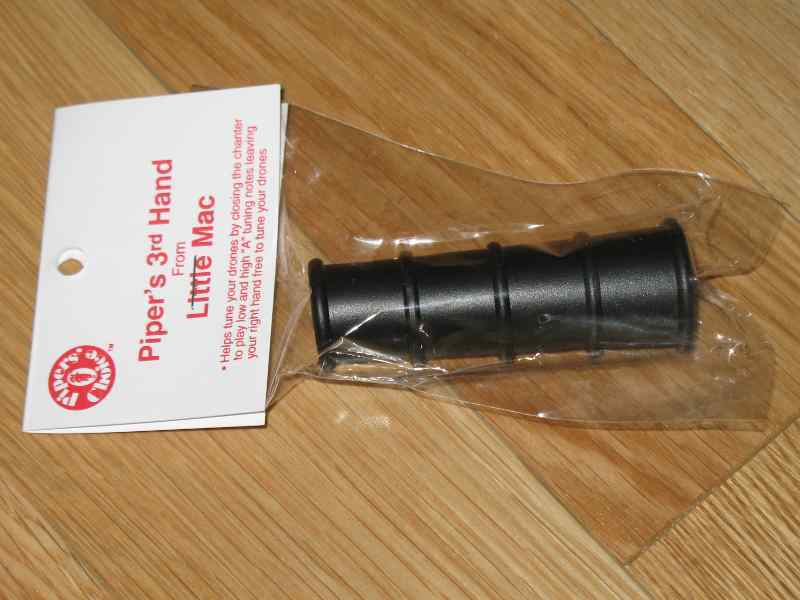 Use this adapter to attach your practice chanter to your pipe bag so you can practice with your hands in a natural piping position. 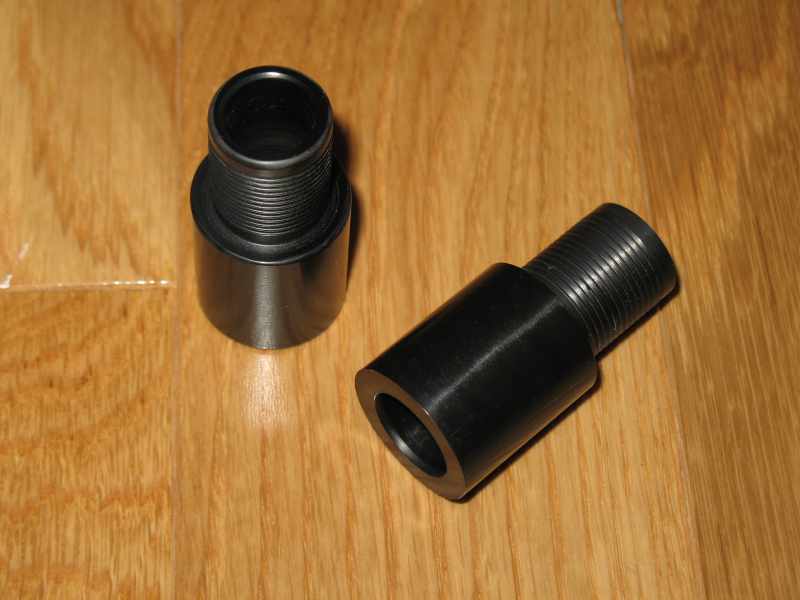 The Dunbar goose adapter has a small opening for the practice chanter - just 5/8". Dunbar and Duncan Soutar practice chanters will fit. Bannatyne and Marr practice chanters will fit if some hemp is removed. Gibson and Strathmore practice chanters will not fit. Pack of 12 small sponge discs that can be placed around the base of your practice chanter reed to extend your practice time. Only use with poly or laminate chanters. Do not use with wood chanters. Tool to help keep your thumb in place when practicing or playing.